Always up for a challenge though, we set about seeing what else we could find, and we confess, this article is a little self-indulgent with some lovely images of watch papers which remarkably have survived in some cases for over two hundred years, most will have been lost or damaged over time, making survivors quite rare. 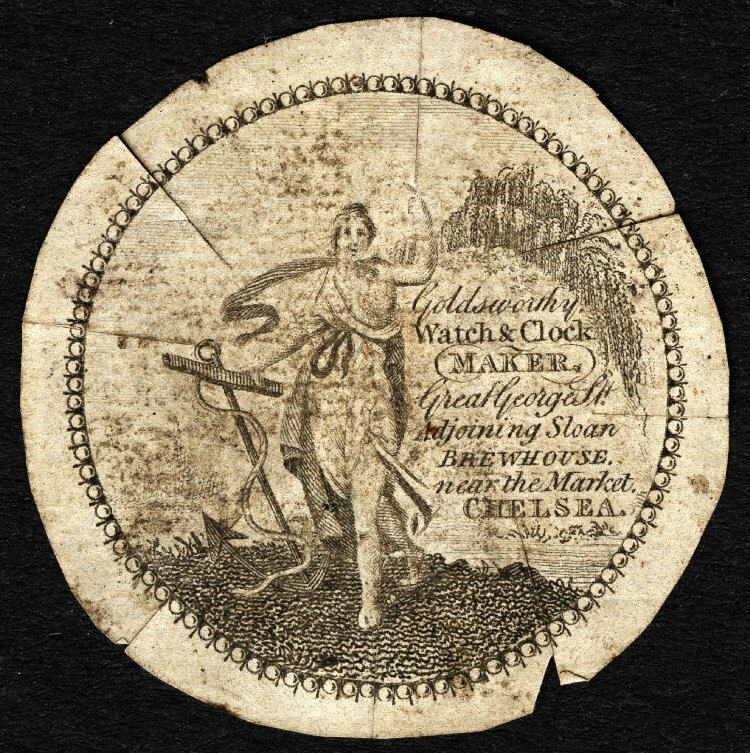 It was believed that initially watch papers were a form of protection for the mechanism itself, which may well be correct, they then developed into the equivalent of a trade card, which for our regular readers you will be aware that we have looked at before and have a great interest in. 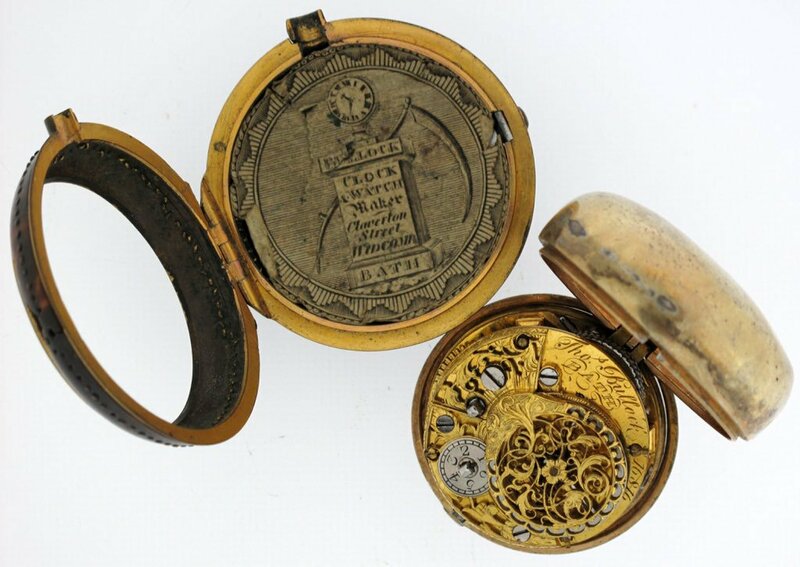 Early eighteenth-century watch papers appear to have been made of either paper or very fine linen. 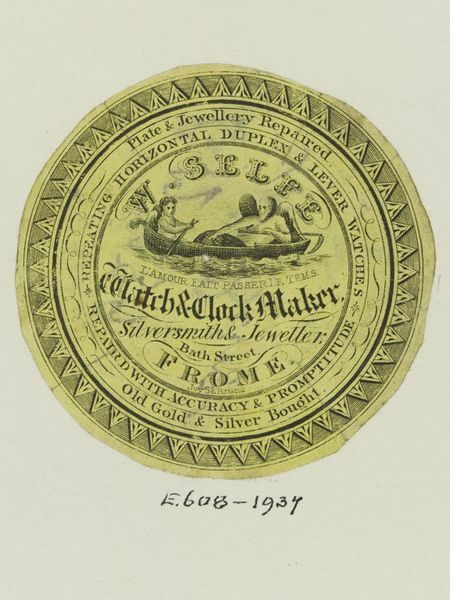 This developed in the later part of the century to include crotched or silk watch papers. Barford begs leave to inform his friends and the public, that he prints mezzotints, fine engravings, banker’s cheques, tutor’s bills, watch papers and music. 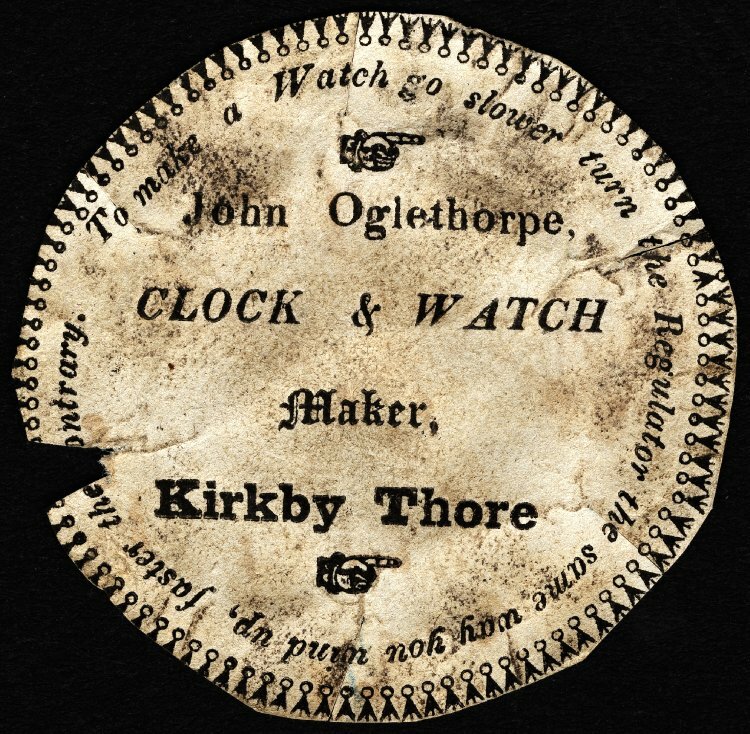 The British Museum has several watch papers and this one was used by John Oglethorpe, born 1823, who appears on the census returns as being of Kirkby Thore, Cumbria where was he described himself as a watch cleaner and repairer, a trade he would have learnt from his father Samuel. 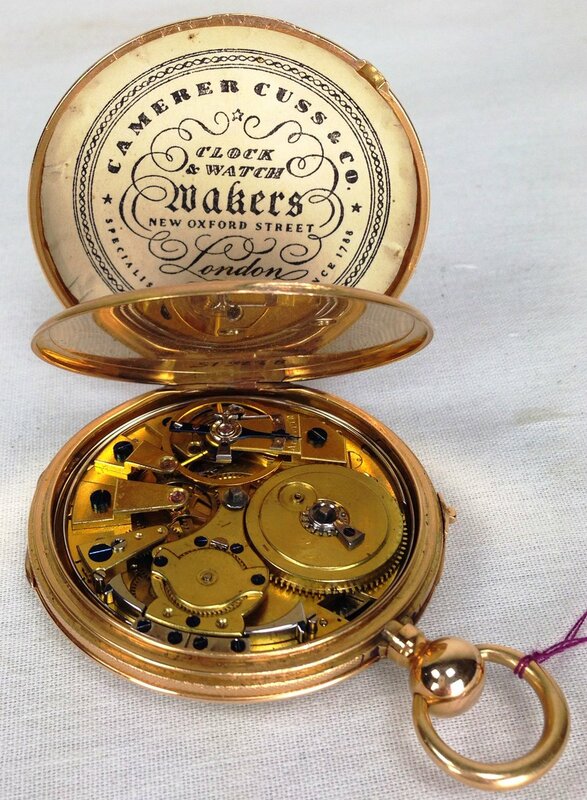 This beautiful watch shows the watch paper placed inside with the makers’ name clearly visible both on the mechanism itself and on the advert on the watch paper – Thomas Bullock of Claverton Street Bath, who we discovered was trading there in 1770. The next belonged to Camerer and Cuss, New Oxford Street. 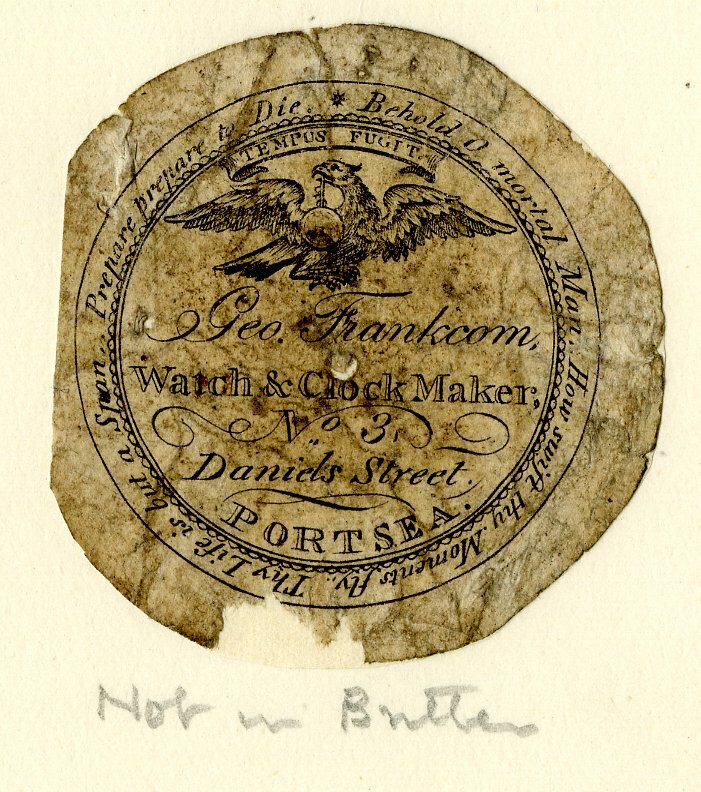 The watch paper is very plain, and we haven’t been able to locate the company, however, it nicely fits into the Georgian era, as they were trading ‘since 1788’. 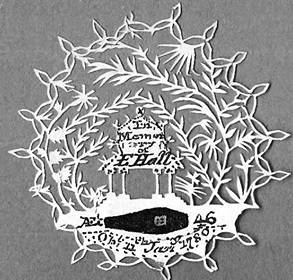 Our next one shows the watch paper of a gentleman by the name of Goldsworthy. He was an Edward Goldsworthy of Exeter, who died in April 1824, aged 73 in Chelsea. Edward was working in his home city of Exeter and here we see him in 1788 taking on an apprentice clock-maker. Tempus Fugit! This one seems a little morbid, reminding you of impending death each time you open the watch. It is an advert for George Frankcom of Portsea, Hampshire. Frankcom must have moved to Hampshire after completing his apprenticeship which he began in 1792. Richard cut it out when his first wife died – it must have taken hours. It shows her coffin in a template, with her name, age and date of death. I still have the pen knife he would have used to make it (i.e. the knife he used to make pens from quills). It is incredibly sharp even after 250 years! He must have had excellent eyesight – and a very steady hand). thank you for following this up! I always learn a lot by reading your blog (sounds like a bot comment, but is nothing but the truth! ), thx a lot! What I really do adore about your blogging is the fact that you always find things in history that are not “main stream” subjects… Keep on going! Pleaase!